On an overcast Saturday afternoon, I found myself walking – no, skipping – up Sloane Street. Fresh out of my first cryotherapy session, a £95 treatment that involves entering a near-freezing chamber, I felt lithe, light and incredibly sharp. The kind of sharp that, for me, only happens post-latte. 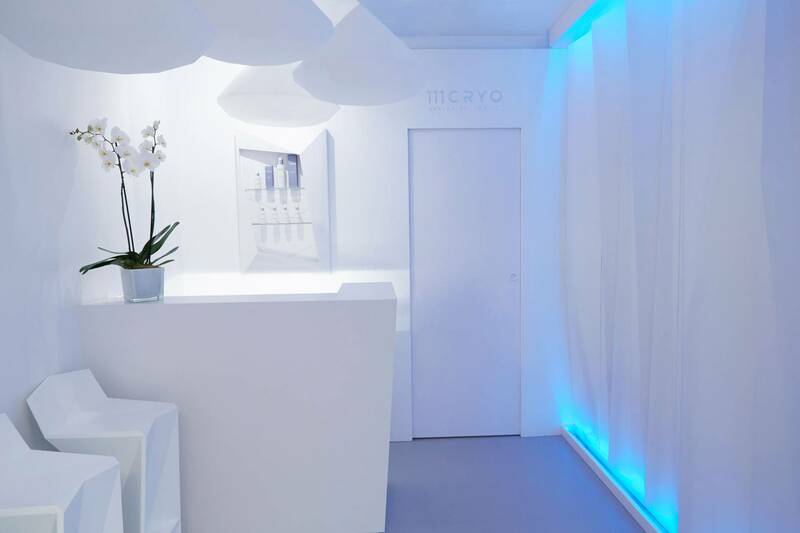 1Founded in 2016 by Dr. Yannis Alexandrides (of 111 Harley Street & 111Skin fame), 111CRYO was born through the surgeon’s commitment to find treatments which have a positive effect on the body, mind and soul. The first two minutes were actually fun, full of laughter, dancing and just marvelling at the bizarre nature of it all. During the third and final minute, I really felt my body temperature dropping, unable to stave off the cold climate any longer. The hairs along my arms and legs began to crystallise and the gentle tingling that had been present from the start was now evolving into a numbness. Just when I was about to check the clock, the door was opened for me and I emerged, frosty but absolutely elated. Whether that was the endorphins released from the session or my sheer relief at having made it, I still do not know. So why did I take my body temperature from 28℃ to 12℃ in just three minutes? Extreme exposure to the cold works on several different levels – internal and external. On an internal level, when the body dips below 17℃, thermoreceptors in the skin notify your brain, which triggers a ‘flight or fight’ response in the body, essentially releasing a cocktail of hormones. Among these are endorphins and adrenaline, which simultaneously make you euphoric, energised and completely focused – a happiness and clarity that lasts the day. Cryotherapy has also found ground in pain relief and muscle rehabilitation, with the sub-zero temperatures heavily reducing inflammation in a more effective way than the traditional and rather crude ice bath technique. In terms of weight control, the increased energy used by the body to climb from the post-treatment temperature back to the normal 28℃ will simultaneously increase the metabolic rate, allowing one to burn calories at a significantly faster speed – up to 800kcals can be expended from just one session. Externally, the benefits on the skin are ample. “Extreme cold tightens, tones and smooths skin,” explains Dr. Yannis. “It stimulates circulation and provides a boost of oxygen, which encourages collagen and elastin synthesis, reviving the complexion. Skin is retextured, with the appearance of pores diminishing, and feels firmer. Fundamentally, the cold constricts the blood vessels beneath the skin, firming, toning and tightening. Once out of the glacial temperatures, blood rushes back in, filling the blood vessels more fully for heightened function and a rosy, energised appearance. Would I do this again? Absolutely. Pre-detox, during detox or post-detox is when I would utilise cryotherapy, allowing it to instigate and encourage me towards a healthier path. A friend of mine who uses it every time she flies, convinced me it is the perfect remedy to jet-lag and fatigue, while my own mother combines the treatment with the 111Cryo facial for all it’s generous anti-aging properties. I think I, and everyone I have introduced to the treatment, have all become #chillseekers.